Because children are never too young to learn great things. We believe that children deserve to be introduced to the best — most profound, exciting, thought-provoking, character-building, eloquent, and adventuresome — creations of Western literature. When mathematicians describe mathematics, they use words such as beautiful, elegant, deep, exciting, joyful. At the Classical Academy, we strive to instill a similar attitude towards math in our students. Rigorous study of one modern language (French) and one ancient (Latin) is a staple of our curriculum. 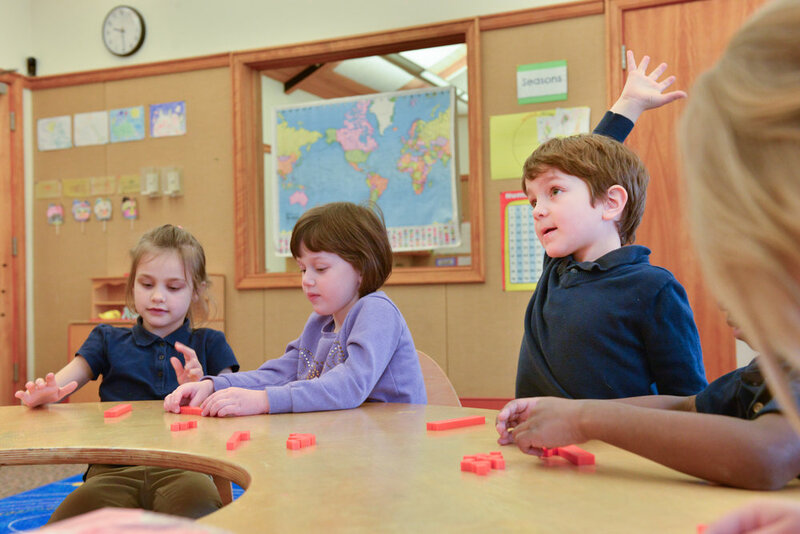 In addition, the Classical Academy offers optional after school immersive Modern Hebrew language instruction. Art Studio and Art History classes are staples of the Classical Academy curriculum. Our students' hands-on work is enriched by lessons about culture and aesthetics throughout numerous historical epochs. Classical education, also sometimes referred to as liberal education (from the Latin liber, free), is defined by the belief that a mature adult, free both spiritually and intellectually, is the product of a course of study grounded in the classical canon of Western humanities, mathematics, arts, and sciences. This canon is rooted in two mighty traditions: the Greco-Roman and the Judeo-Christian ones. Thus, in order to develop true love and mastery of the classical canon, students must come to understand the historical development and the religious and cultural underpinnings of these two traditions, as well as the fruitful interactions that occurred between them through the centuries. In immersing students in this exploration, classical education takes them on a journey through history. Just as an individual’s personal identity is contingent on his memory, so too cultural identity is contingent on thorough historical knowledge. Inasmuch as time travel across epochs and cultures is seminal for classical education, so too is the study of languages. Classical education is founded on three ancient languages: Ancient Greek, Latin, and Hebrew. And just as vital is deep understanding of Mathematics, Music, and Computer Science as languages in their own right—languages with logic and aesthetics, which, once mastered, allow us endless degrees of still other forms of freedom. Classical education sees skills-development not as a goal in its own right but as a prerequisite for mastering the classical canon and the ideals of Truth, Goodness, and Beauty that underlie its seminal works. The ultimate product of classical education is a young person who has attained some of the wisdom, refinement, and discipline necessary to think and act as the mature citizen of a free country—a citizen who holds himself responsible for upholding the intellectual and cultural origins of this freedom. Laden with this knowledge, he steps into the future not to adapt to its anticipated demands but to shape and determine them.